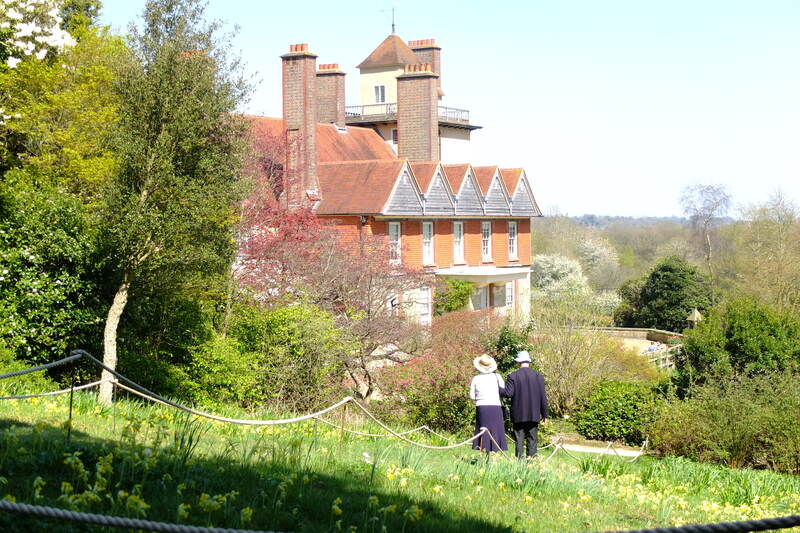 In May I visited a very beautiful place called Standen and I really enjoyed it a lot. Here is some information I found about this place and some of my many photos I took there. Standen is a national property in West Sussex. It is an arts and crafts house surrounded by huge hillside gardens. There is a shop, a restaurant and in the surroundings it is possible to enjoy woodland walks. This family and country home was created in the 1890s by James Beale and his wife Margaret from London. 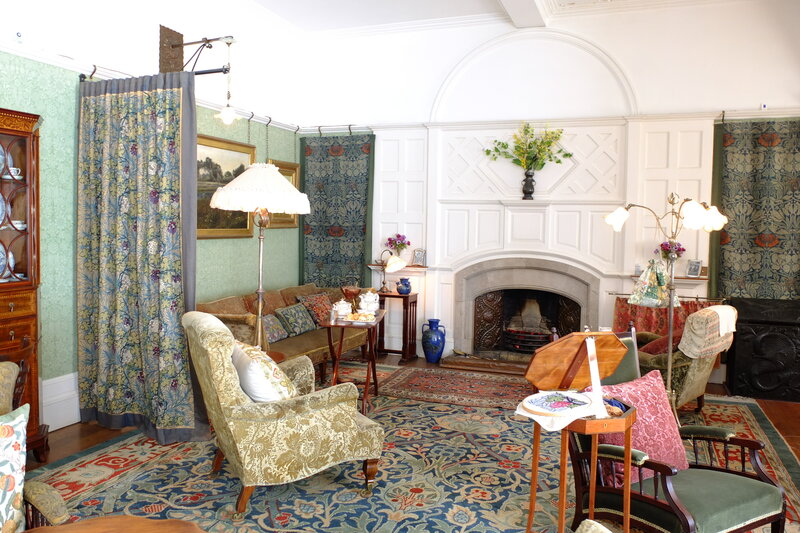 It was designed by architect Philip Webb and the interiors were work of William Morris´s company. The estate was formed from 3 farms which the Beales had purchased in 1890. The architect Philip Webb incorporated the original farmhouse into his design. It was a home fulfilling all the functions that a late Victorian family needed. 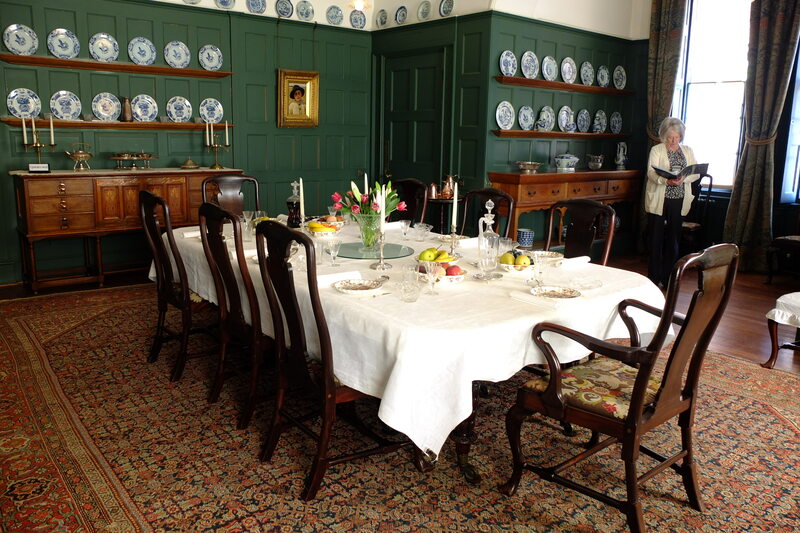 Today we can see how that wealthy family lived in the 1920s, the house is set for a weekend visit. We can follow the Beale family over a 24 hour period as they welcome their guests, take afternoon tea, and they have a breakfast in bed. The beautiful dining room is set for a dessert. During the visit of the house, in all rooms, we can see pictures and different arts and crafts. Besides the William Moriss´ artistic objects like carpets, fabrics or wallpapers, we can also admire ceramics by William De Morgan and metal works by W. A. S. Benson. In the house, there is also a beautiful conservatory which leads out onto the wide gravelled terrace. The house still has its original electric light fittings. 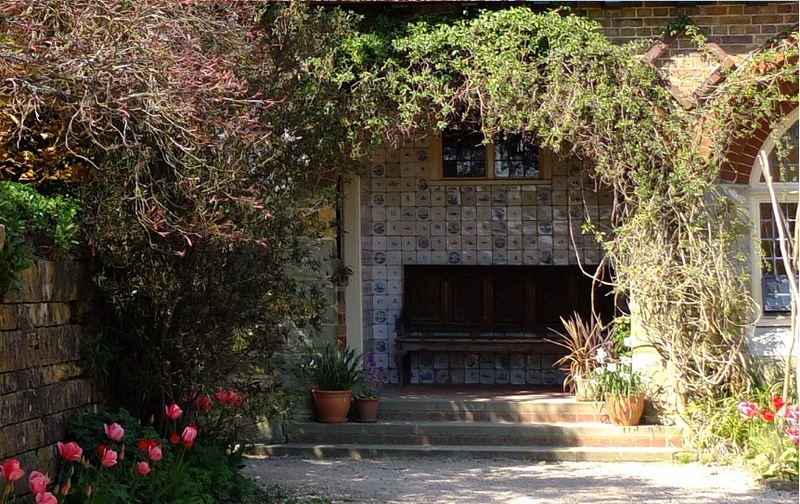 Standen reflects the Arts and Crafts movement´s trait of using building materials that are common to the local area, for example stone quarried on site, Horshan brick, Wealden hung tiles and weather-boarding. The property was bequeathed to the National Trust in 1972. The garden which complements the beauty of the house is a 12 acres land and was started almost immediately the Beales got it. They planted trees, established a yew hedge and started the kitchen garden. Whatever is the weather, the garden has a lot of enticing places to sit, for example the covered area next to the conservatory. The walls are lined with beautiful blue and white Delft tiles. The covered seating areas at Standen reflect the opinion of Web who said: “There is no bad weather, only different kinds of weather”. Due to the sloping nature of Standen, the garden has several flights of steps, descending lawns and banks. Webb also incorporated lovely summerhouses, terrace and steps, all this is typical for gardens in the Arts and Crafts style. The summerhouse on the Top Terrace was added in 1910 and it was built to align with the spire of West Hoathly Church which is no longer visible due to the mature trees. Every garden is different, there is for example the Bamboo garden which leads to the orchard, the Quarry Garden which is overhung with rhododendros, cammelias and acers or the kitchen garden. The kitchen garden was originally a large hedged garden with extensive glasshouses. It was used for Beales´ London home and for Standen. Today it is smaller than the original, but lately it has been returned to its former purpose. The long-term aim of the Trust is to grow the type of vegetables, fruit, herbs and flowers that would have flourished here in the Beales´ time. 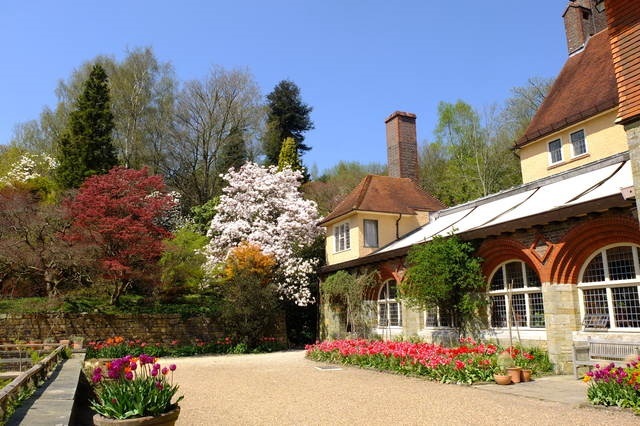 Standen is situated in the peaceful Sussex countryside, near the town East Grinstead. 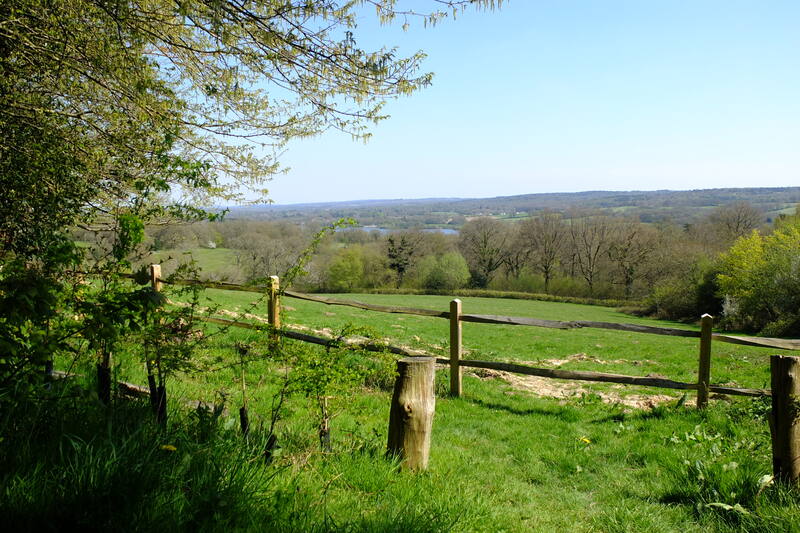 From the top of the gardens we can enjoy wonderful views across the valley, with Weirwood Reservoir bellow and the Ashdown Forest and Medway Valley beyond. The principle views from the house are from the rear. The wood is heaven for birds.